In June, one of our veteran mechanical assemblers traded in his work boots for a pair of beach sandals as he heads to Florida for retirement. Al Goff joined R+D back in 2002 and over the years has contributed his tremendous skill and extensive expertise to hundreds of projects. Al was a lead mechanical assembler and helped put together machines that are still in production all around the USA and across the globe. Al was part of a group of experienced manufacturing personnel that have worked together for decades. We believe that the experience and comradery among our manufacturing group is a leading contributor to the quality, precision, and reliability of the equipment that we’ve been designing and building for over 40 years. Al, as well as our other experienced manufacturing and engineering personnel serve as mentors to new employees to ensure that the quality and craftsmanship that R+D is known for is passed down to successive generations. 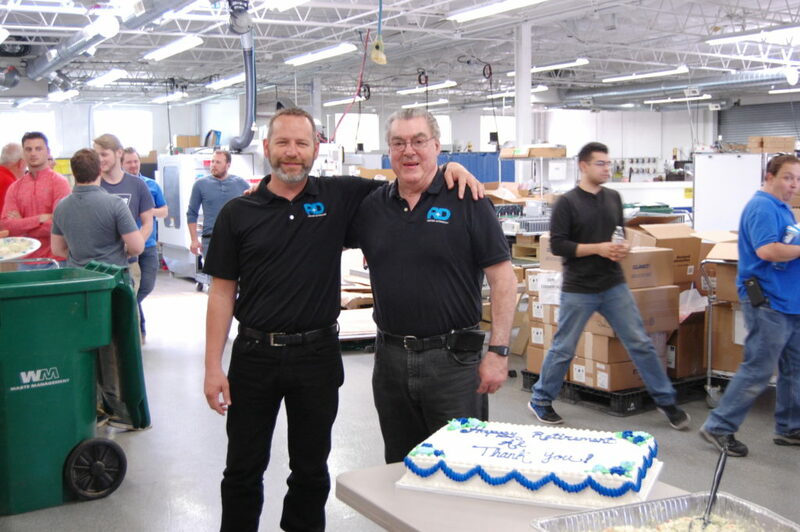 Thanks to Al for his many years of dedicated service to our company and wish his family the very best in retirement!